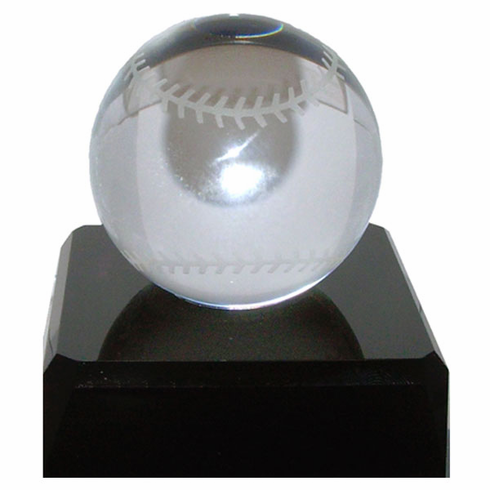 Clear crystal/glass baseball with etched stitches mounted on a shiny black base. 3.25" tall. Base measures 3" x 3" x 1". Packaged inside a gift box.